Assassin’s Creed III was an expected and anticipated title to see at E3 since it’s leak and announcement a few months ago. Ubisoft is releasing Assassin’s Creed III at the right time since fans were getting fed up and antsy with the same gameplay from the previous two installments and yes this latest title brings a lot of new content to the table. Ubisoft presented almost a media blowout on Monday during their press conference: An official E3 trailer followed by a live demo of the game and ending with another gameplay trailer. While during Sony’s conference another demo was shown as, Assassin’s Creed took it the seas, with a naval battle and the PS Vita title Assassin’s Creed: Liberation was announced. So let’s get started with this c’mon! Set around 1775 during the Revolutionary War the new assassin Ratonhnhaké:ton or simply known as Connor Kenway is fighting in his own secret war against the Templars that will weave into the American Revolution. Expect to see more historical faces e.g. George Washington and Thomas Jefferson. Based off of a new and updated game engine Assassin’s Creed III looks promising than ever. The gameplay will take place in the countryside of the Northeast of the country, as the story progresses other locations will have show different weather such as summer in Boston. The economy in the game will be based off of traded animals that are hunted and purchased property will be up. Connor has a ton of combos and chains kills and can use enemies as human shields. How about the naval battles that was mentioned earlier. Lastly, there is some of the info on Assassin’s Creed III Multiplayer and new game mode called Dominion. Dominion is a four vs four game similar to king of the hill. The two teams take turns hunting each other however the hunted team has to capture “holding zones” and survive. Another new aspect is the ability to use the environment for kills and the weather system from the single player will be added to the maps. There will be a third slot for abilities, new weapons like the poison dart and the kill and stun button will be the same button (save the confusion during a panic). G4 has an interview with more detail about the Mulitplayer. The PS Vita will get some love with Assassin’s Creed III: Liberation coming out this fall. Instead of giving the Vita a toned down part it is getting it’s own game. Set a few years before Assassin’s Creed III in 1795-1780 New Orleans. The game follows the female assassin Aveline. She will run into Connor from the console title and perhaps introduce a new assassin in modern times. Players will be able to travel New Orleans, the city’s outskirts and Mexico. Aveline de Grandpré is a half-French, half-African assassin. Daughter a French merchant and an African placée bride, she gained a position of wealth within the city while growing up. She noticed a black and white contrast within society – wealth and poor, freedom and slavery – Aveline creates own values “vehement anti-slavery stance”. With the help of an escaped slave named Agate she joins the Assassin Order. The Templars take over the city after the French hand it over to Spain sparking the Louisiana Rebellion. The length of the game is 15-20 hours. Aveline will fight with pistols, hidden blades and a blowpipe. She can wield two weapons at once a mechanic that is seen Assassin’s Creed 3. Just as how Assassin’s Creed II had Carnival`e, Mardi Gras will take place. Fighting in the bayou will bring out wildlife in the gameplay but straying from the forest of north the bayou will have encounter several threats including alligators. Aveline will across cross the gulf of Mexico but there are no details on that. Mulitplayer mode will be on the Vita but it will unique to the Vita making it different from the previous installments. 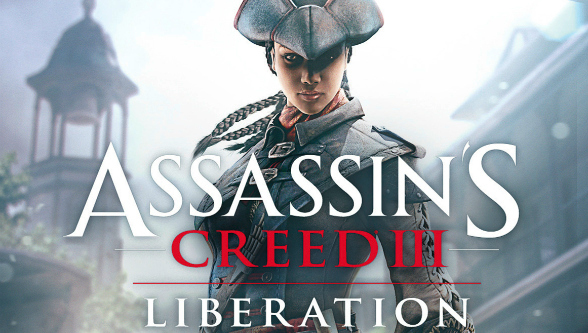 Liberation will unlock a mulitplayer character and weapon upgrades for the console AC III. Both titles will release October 30th. Assassin’s Creed III will be in a PS3 bundle and Assassin’s Creed: Liberation will be bundled with a crystal white PS Vita. Does aveline and connor fall in love???? Good question, actually, that would be a good surprise and it would show some cross-platform love. If Liberation becomes successful and creates a buzz after release then we will see more Aveline and Connor in the future hopefully with a romantic angle. Connor isn’t a Casanova like Ezio so we’ll see what Ubisoft has in store for us.